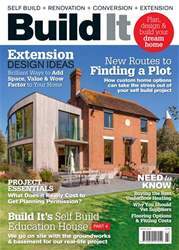 Digital Subscriptions > Build It > March 2019 > What does it really cost to get planning? For any scheme where planning permission is needed, be it a new build, conversion or extension, the process will involve fees paid to the council. It’s easy to overlook or underestimate some of these, but the last thing any project needs is to go over budget on the preliminaries before construction has even begun. So how much is it likely to cost? Planning fees fall into three camps. There are the rates for statutory planning applications, then council charges including pre-app costs, the Community Infrastructure Levy (CIL) and other payment demands, and finally, professional estimates. The first of these is the most certain, as prices are set nationally, so are the same throughout the UK. Self builds are exempt from the CIL, so if your project qualifies then you won’t pay this. Other council expenses, like for pre-app or legal agreements, vary greatly and can be considerable.